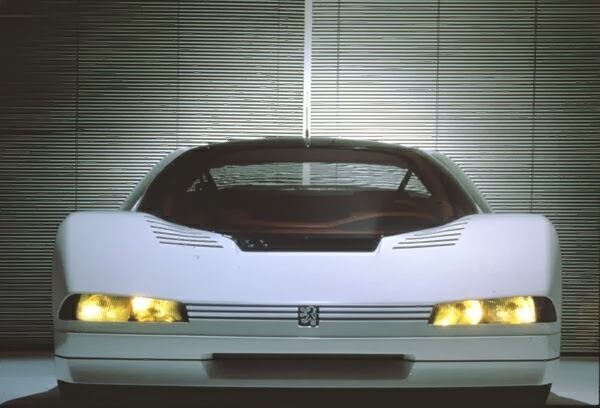 Peugeot has had a number of attempts at building out and out sports cars with little success of them moving from concept to production. 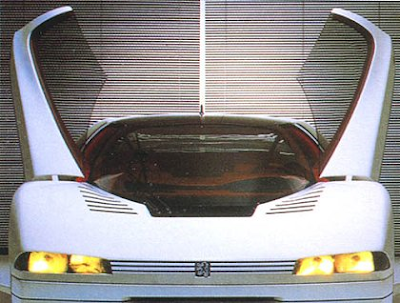 In 1984 this was their attempt to wow the buying public and lift the image of the company hot on the heels of the success of the 205 GTI. 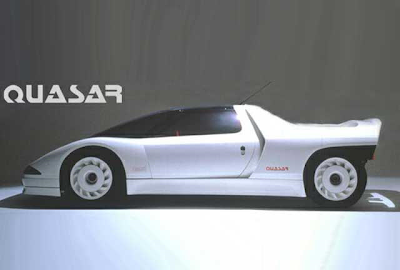 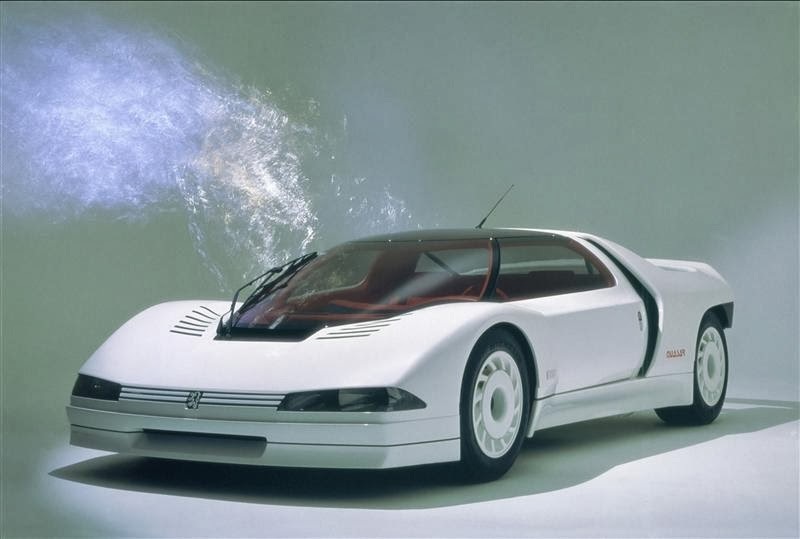 To be fair Peugeot let its designers think out of the box when they built this image of the future. 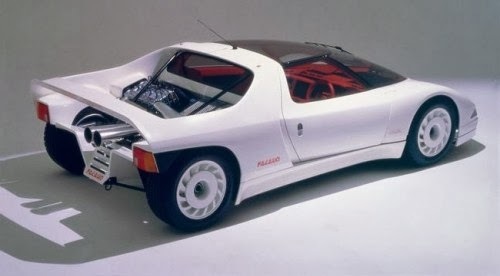 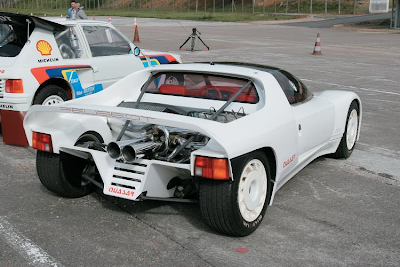 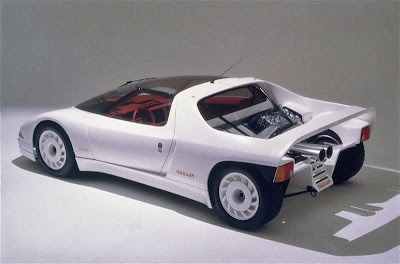 Powered by a 4 cylinder turbo powered engine borrowed from the Peugeot 205 T16, mounted in the middle and producing 600bhp, not bad for starters. It then utilised Formula 1 push rod suspension to get it as low as possible and allow air flow through the rear. 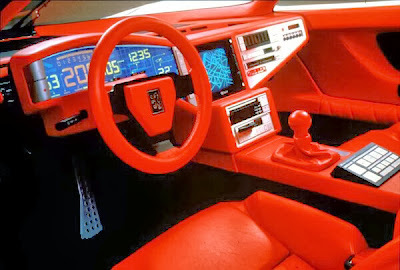 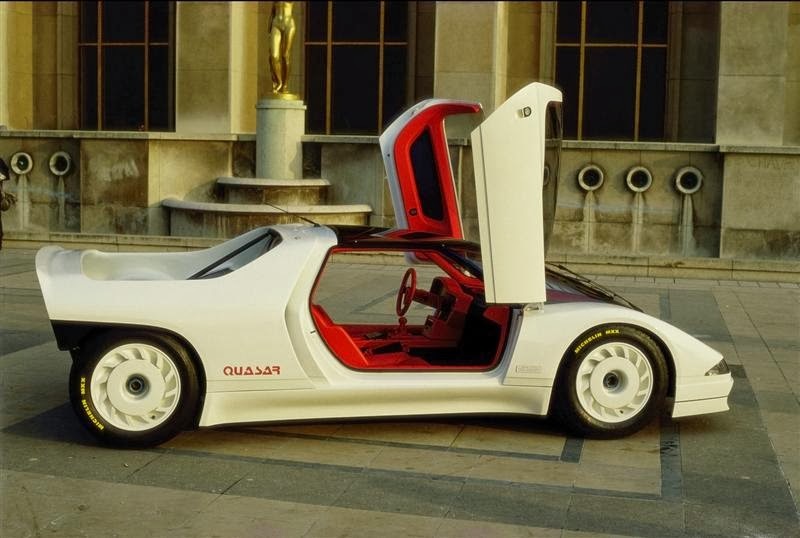 Inside those rotating doors were video screens that gave the driver warnings as well as an early satellite navigation system and a full digital dash.